Launch Perfmon. 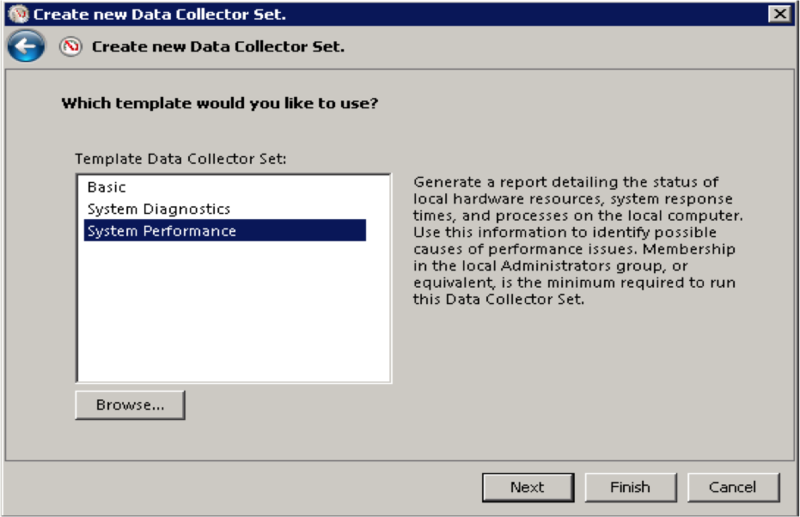 Expand Performance tree down to User Defined, Right click on it, select New-> Data Collector Set. 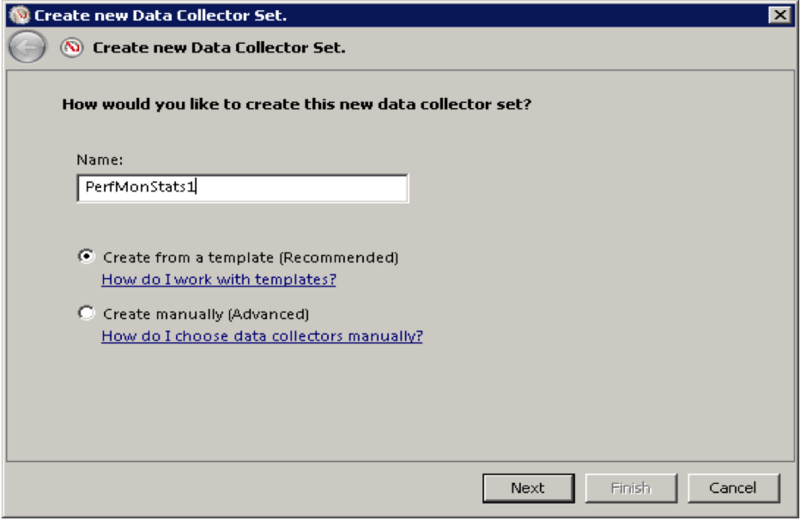 In the Create New dialog, name the data collector set, select Create from a template (Recommended) and click Next. Select System Performance as template type, click Browse and browse to the location where you stored the xml template create using step 2. Select it and Click Next. Select Save and Close and click Finish. Done!